Today is, in fact, my birthday - and as those who know me may suspect, we started the day off overlooking Camps Bay beach from Cafe Caprice, where we had breakfast. While sitting at Caprice I commented to a friend that the bank of mist hovering over the ocean, just off the beach front, reminded me of San Francisco. I remember setting out on a warm and sunny day to take a trip from Santa Cruz up to Half Moon Bay (both towns are a few miles south of San Francisco on the North American west coast). The weather along that entire coast line was exactly the same as the weather that we had at Camps Bay today - it was hot and sunny 100 meters away from the coast line, but misty with a cold sea breeze on the beach itself. 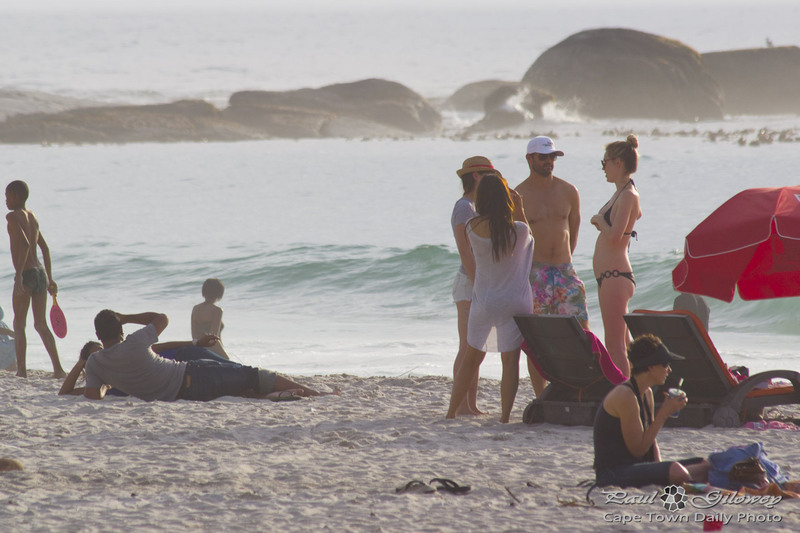 Posted in General and tagged beach, camps bay, people on Friday, 27 December, 2013 by Paul. Happy Birthday. Nice start of the day down at the beach.